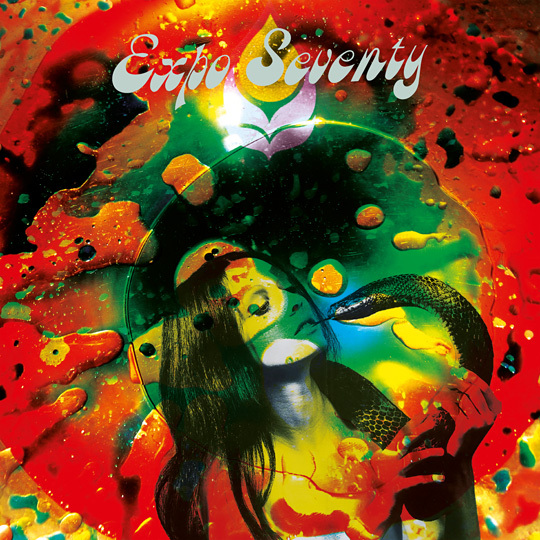 Expo ’70 is mainly known for being the work of Justin Wright with the occasional contribution of other musicians, primarily dabbling in the realm of drone, krautrock, psychedelic rock and kosmische music. Virtually From The Unknown features a trio line-up – thus the subtly modified “Expo Seventy” nom de guerre – of Wright accompanied by Aaron Osborne and Mike Vera. Born as a true krautrock hypnotist, the music here is by no means a departure from Wright’s beloved trademark. With his cosmic synths and guitar rounded out by Osborne and Vera’s bass and drums, the 31 minute epic “Figures In Black Turn Night Back Into Day” presents a heavier doom-inspired psychedelic journey that slowly builds an inner tangled web of sounds towards a crunching momentum where the rhythm section carves out a wall of mesmerizing rumbling grooves. The man definitely feels comfortable and inspired in experimenting his washes of textures while breaking loose on more free rock-esque guitar playing. “Closet Full Of Candles” opens as a huge Sabbath riff to quickly become dismantled by a wash of psychedelic jamming and mystical blown-out guitar shapes – ominous and restrained enough to thankfully not go into the stoner rock pitfall. The closing track, “Planet Ego, The Astral Return To Yourself”, returns to a familiar ambient territory – minimal, spacey electronic sounds with the addition of blooping analog synth soundscapes accompanied by cymbal scrapes and low throbbing drones travelling the galaxy. 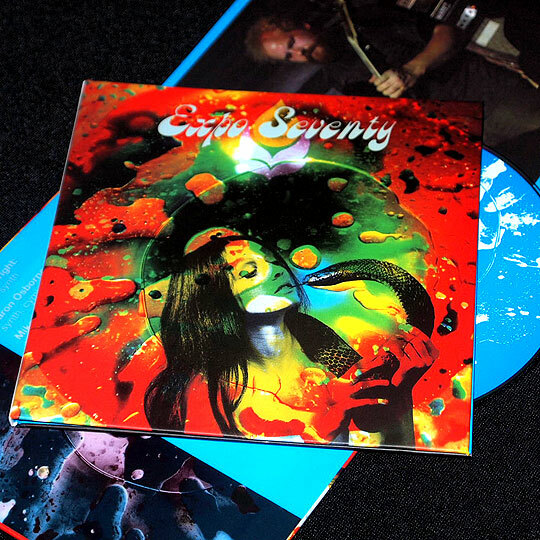 Recorded live and treated in the studio, the Essence Music edition contains the full, unedited 58 minute set of juggernautic dark psychedelia. A crown jewel in Expo ’70’s stellar catalog! 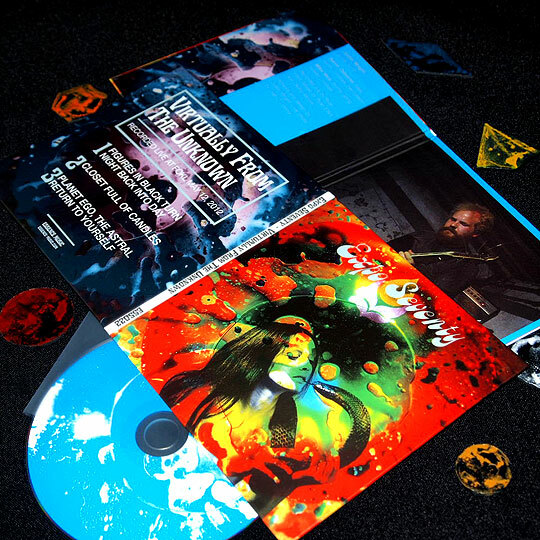 CD edition strictly limited to 200 copies housed in our sturdy, matte laminated tip-on mini-LP gatefold packaging. Features expanded artwork not available on the sold-out LP edition on Sonic Meditations. Recorded live at FOKL, May 12, 2012. Mixing by Ryan Elliot and Dedric Moore.